Thanks for stopping by my website and congratulations on taking the first step in making your home sale or home purchase a reality! As a trained real estate professional my expertise includes the marketing and sale of homes as well as helping buyers find their dream home. I work with you throughout the entire transaction to assure that the buying or selling process goes smoothly with the least amount of inconvenience to you and your family. So what makes me different from other Realtors? Local Market Knowledge...I have lived in and loved the Richmond Hill, Pooler, and Southside Savannah area for 14 years. I know this area and pride myself in keeping up with the latest local real estate trends. Want to know what a home is worth, how quickly homes are selling, is the market headed up or down, or if this is currently a buyer or seller's market? Let's talk! Communication...I understand the importance of communicating effectively. Count on updates weekly or more often if you prefer. And I am available 24-7 to answer your questions and address any concerns. 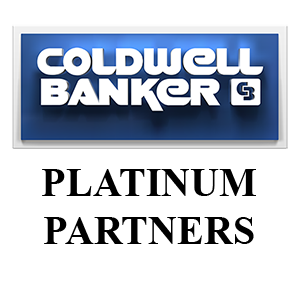 Marketing...My 20 years of marketing and social media experience combined with the power of Coldwell Banker Platinum Partners can find a buyer for your home quickly and at a competitive price. Family Friendly...As a father of a 6 and 10 year old I know what is important to families. Buying a home is more than finding a great house. You want to find a neighborhood that feels like home. A neighborhood with everything that is important to you. Whether you are looking for great schools, after school activities, shopping, dining, or a church family, I can lead you in the right direction. Personal Service...I treat the sale of your home as if it were my own. I will lead you through the process and help you avoid the pitfalls that can de-rail a home sale or home purchase. Nobody works harder to get you to the closing table!